According to data obtained by The Australian newspaper, half a million – or one in five – students in Australian governmental schools have a disability or learning difficulty, meaning they require extra assistance. So what exactly are the most common learning difficulties, plus what can we do to support our children in overcoming them? While the spectrum of learning difficulties encompasses a broad range of conditions, education experts rank the two most common as dyslexia and ADHD (Attention Deficit Hyperactivity Disorder). Dyslexia is a learning difficulty which relates specifically to reading. 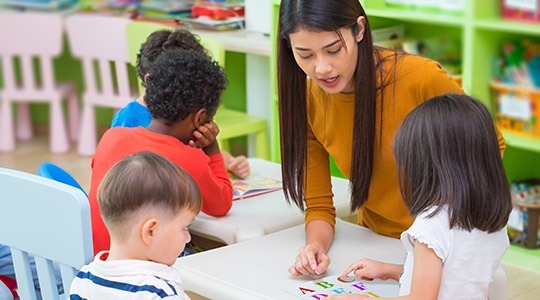 It can show up in a variety of ways – some students have a problem with ‘phonemic awareness’, which means they fail to recognise how words break down according to sound. Others may struggle with ‘phonological processing’, wherein students cannot distinguish between similar word sounds. It’s important to recognise that dyslexia is not an issue of intelligence, but a different way of processing. The Australian Dyslexia Association estimates it affects 10% of the Australian population. ADHD (Attention Deficit Hyperactivity Disorder) is most often characterised as a behavioural problem but it also a common learning impediment, as students with ADHD have difficulty paying attention and staying on task. They often have difficulty in traditional school settings. It has been estimated that 11% of children and adolescents in Australia have ADHD. Treatments for learning difficulties are of course unique to the problem and person. For dyslexia, there is currently no known way to correct the underlying brain abnormality that causes it. However, with early intervention and special educational approaches, many children respond well and experience significant improvement. It is recommended that children with dyslexia are tutored by an educational professional with special training in structured and multi-sensory learning approaches. ADHD is distinguished from dyslexia in that it can be successfully treated with medication in many cases. Treatment is usually a combination of therapy, diet, medication and structured education. The Australian government recognises both dyslexia and ADHD as disabilities, which means that assistance is available under the National Disability Insurance Scheme (NDIS), for cases where these difficulties cause severe impediment. If you’d like to find out more about what support is available for children with learning difficulties, please get in touch with Zest Care.